Then I found out it was 2 players at a friend's house and awww yeah!!! 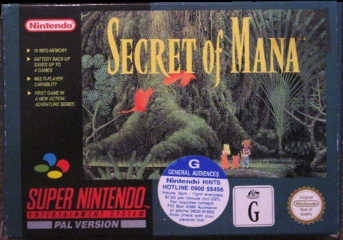 Another SNES RPG I completely loved and played to death. I had one game where I had leveled all spells and weapons to the max (never found all weapon orbs though). My favorite game of all time!! Best RPG and best Multiplayer Co-op experience ever. The weird thing is that it was only this installment, as the next ones, PS and PS2 ones are rubbish. Please Square, make a game with the exact SAME mechanic as this one, it was perfect, why change it? 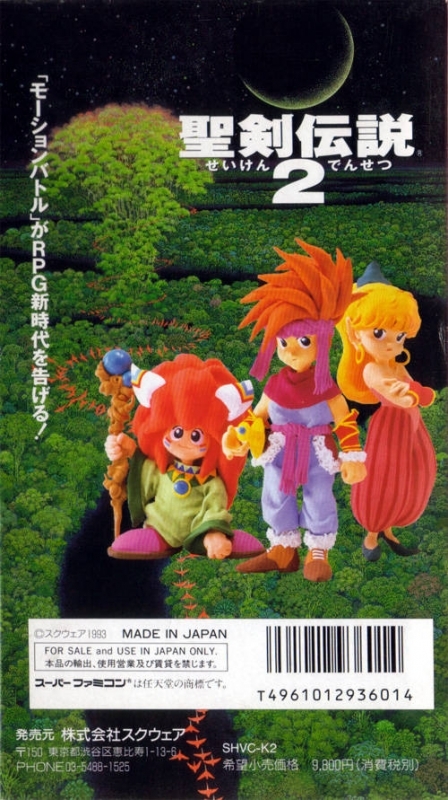 I almost can't believe this only sold 2 million copies, I consider it the best 2D rpg ever. This is the only game I consider on par with zelda, tough it's more complex. It's relativly cheap on ebay, buy one if you can ;).